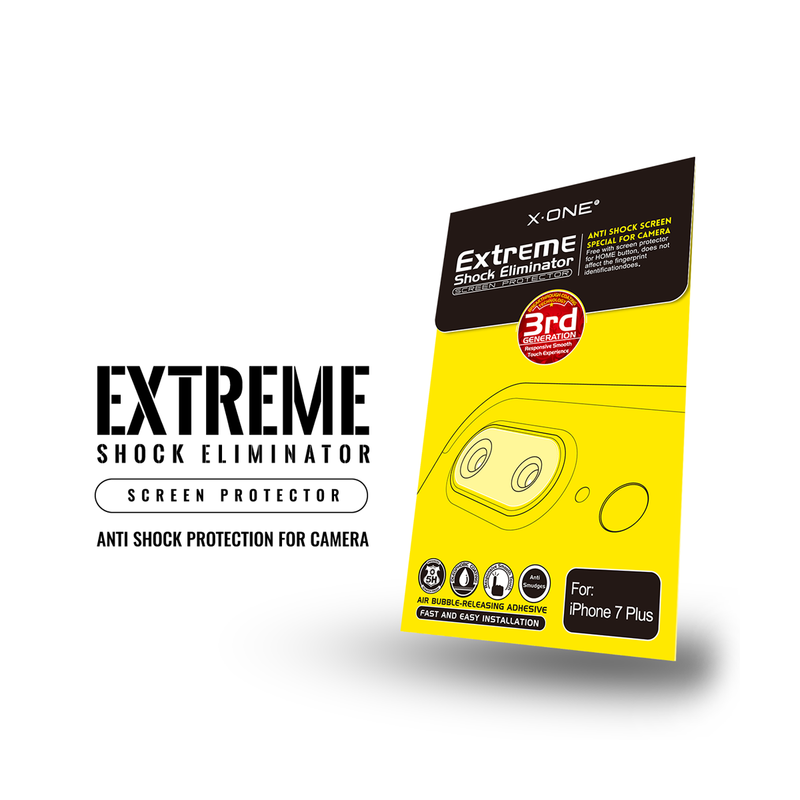 Why choose X One Extreme Series Screen Protectors? ◆ Strengthen your screen up to 5X with Extreme Anti Shock Technology. ◆ Absorb and disperse impacts with Ultra-durable Nano silicon layer. ◆ Long-lasting usage as it will not break like tempered glass. ◆ Ultra HD Crystal Clear Clarity. ◆ Oleophobic Coating for smoother touch and easy cleaning. Yes, the long-awaited Camera Lens & Home Button screen protector is here! 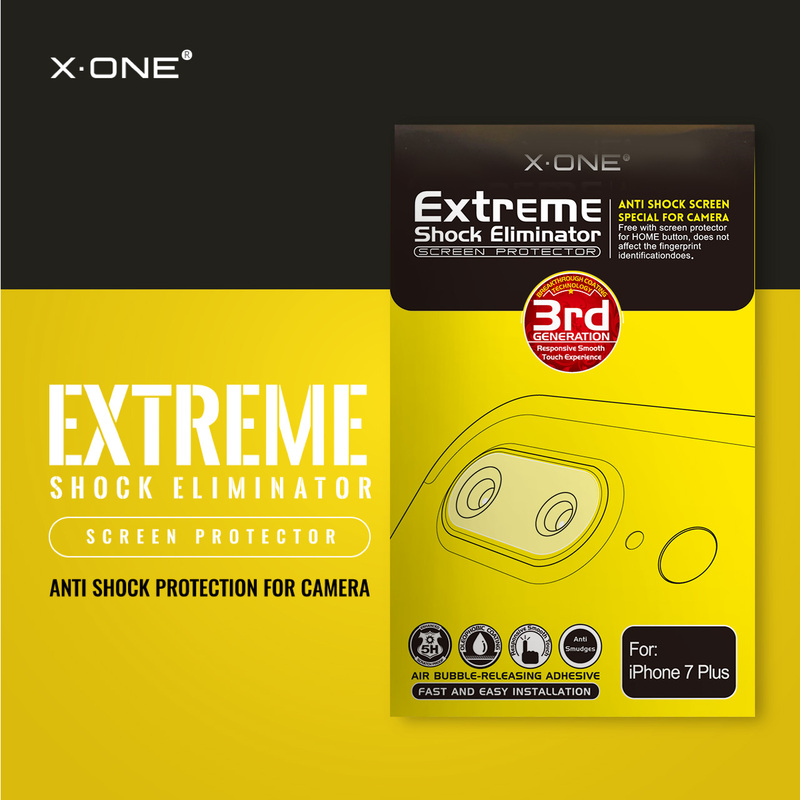 X.One® Extreme Shock Eliminator is now ready to protect all iPhone 7/7 Plus Camera lens out there! 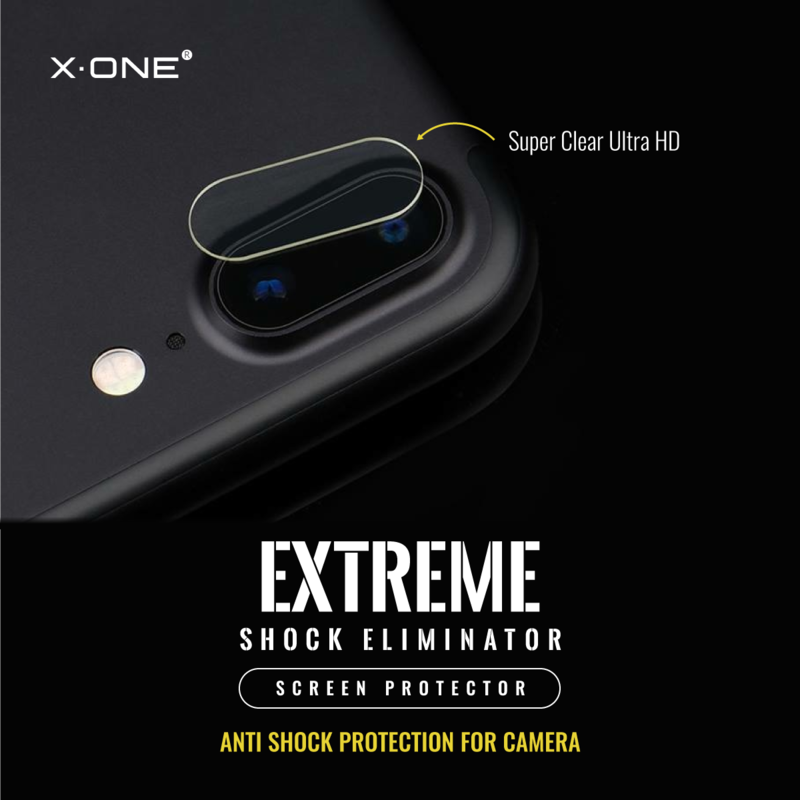 With X One® Extreme Shock Eliminator protecting your camera lens, you’re all ready to take ultra HD clarity pictures, as super clear ultra HD X One® Extreme Shock Eliminator lens protector will not affect light transparency at all. Go ahead taking pictures without any worries, as you have anti shock protection on your camera lens! Extreme Series for Camera Lens pack now comes with home button protectors too! For those keep on using iPhone’s home button, protect it from scratches and smudges! 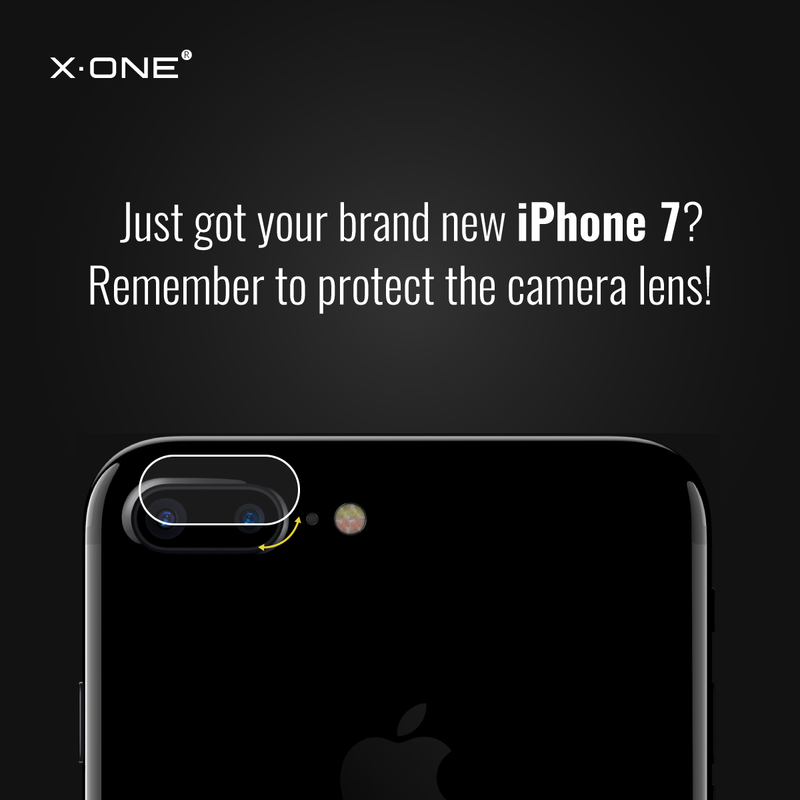 You’ll have 2 pieces of FREE X One Extreme Series home button protectors for iPhone 7/ 7 Plus, packed together with your Camera Lens protectors! Depends on the deepness of user’s fingerprints. Depends on iPhone 7/7 Plus fingerprint sensor’s sensitivity. Each pack now comes with 2 pieces of lens protectors and 2 pieces of free home button protectors! 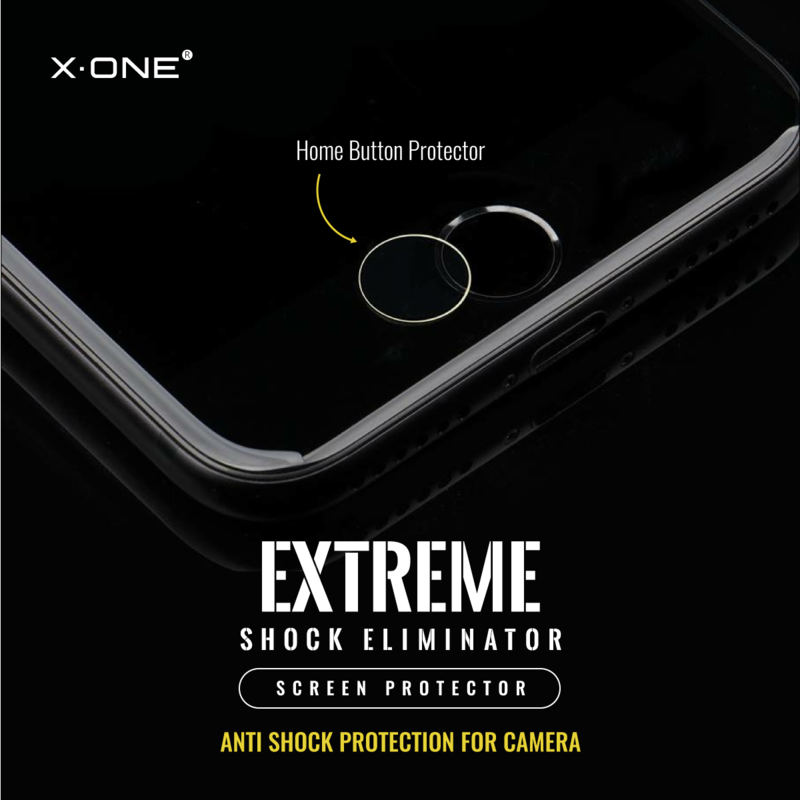 Perfect 360 ° combo protection with X One® Extreme Series screen protector and X One DropGuard Case! Why choose X One Extreme Series Screen Protectors? ✓ Strengthen your screen up to 5X with Extreme Anti Shock Technology. ✓ Absorb and disperse impacts with Ultra-durable Nano silicon layer. ✓ Long-lasting usage as it will not break like tempered glass. ✓ Oleophobic Coating for smoother touch and easy cleaning.